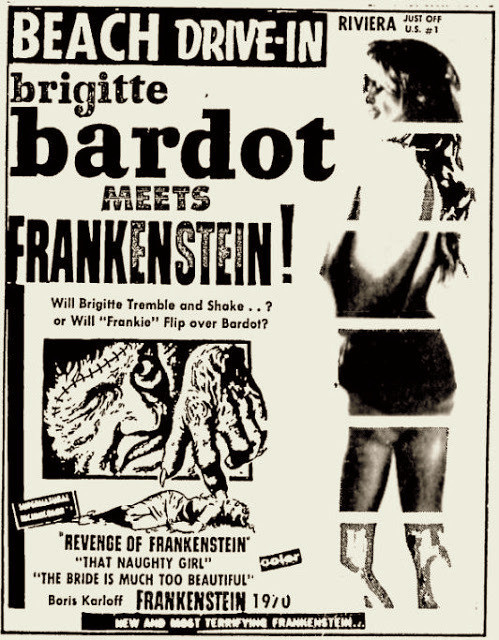 Certainly worth the admission price! 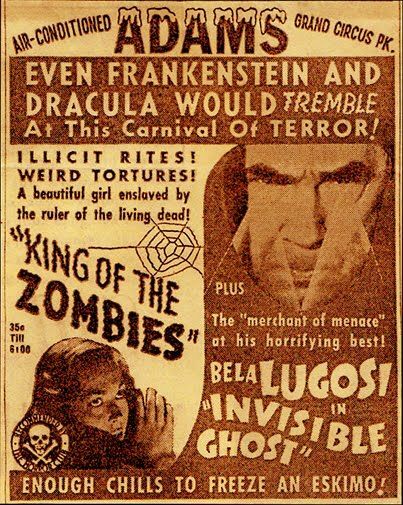 I'd be on that Chaney/Lugosi show! 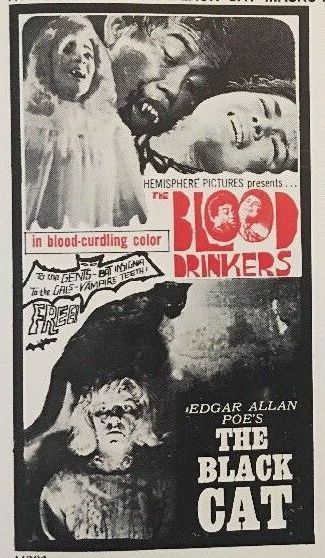 DRACULA (1931) and FRANKENSTEIN (1931) ad from 1938. 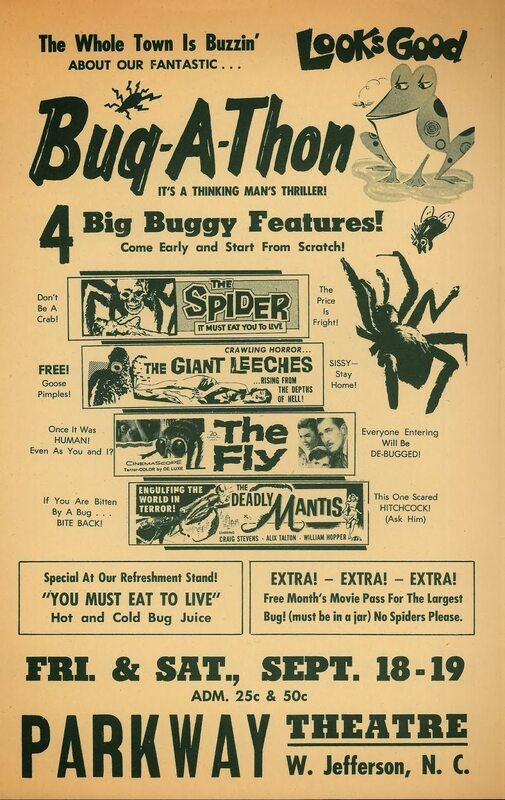 Plus a cartoon, a newsreel, and Johnny Mack Brown! 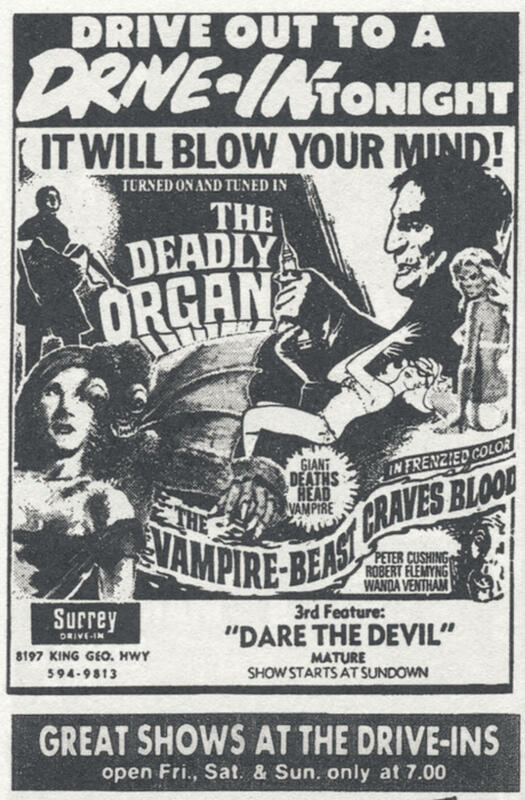 The DEADLY ORGAN, which I've heard of but never seen, the VAMPIRE BEAST CRAVES BLOOD with Peter Cushing-which I have seen, and DARE THE DEVIL- which I know nothing about! 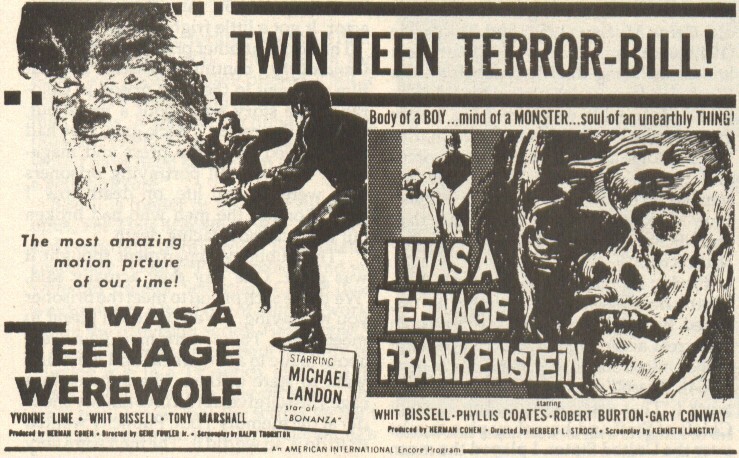 It would be great to see this stuff in the cinema even now..some nostalgic entertainment! 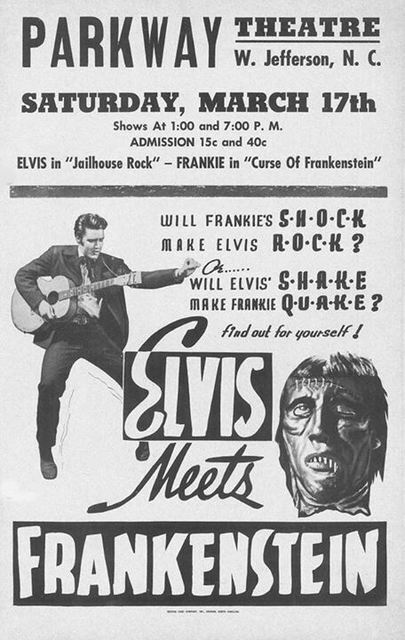 Here's an odd pairing- JAILHOUSE ROCK (1957) and the CURSE OF FRANKENSTEIN (1957)! Back in 1994, I saw a double bill of The Fugitive and Passenger 57: I was exhausted afer that. Passenger 57 was shown first and then The Fuggitive.